At a philosophy lecture series address, Philosophy professor Dr. Ryan Christenson spoke on Valentine’s Day about the metaphysics of love. Dr. Ryan Christenson, an associate professor in the Philosophy Department, spoke on three main kinds of love from a philosophical standpoint: agape, eros, and philia. All of these words can be translated as “love.” In Aristotle’s Nicomachean Ethics, philia is translated with a closer meaning to friendship. 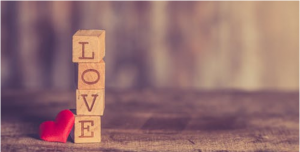 In the Old Testament verse, “For god so loved the world that he gave his only begotten son,” the verb form of agape is used to express love in higher way. So what are the distinctions between these different kinds of love? The first distinction Christenson made was the exclusive-inclusive distinction. Pagan love is a preference for one person in contrast to all others. Christian love expects one to love the whole human race and not to make exceptions. The love of few versus the love of all. Kant, a renowned philosopher, said that there is the well-liking love and the well-wishing love. The first is the pleasure in showing approval of another’s perfections, and the second is the wish to promote the happiness of others. The well-wishing love is wishing someone well, but also wishing that they might be worthy of it. “We love, because he loved us first” (1 John 4:19). This theory is that the primary kind of love is agape, which is God’s love. Because God loves us, it makes it possible for us to love. Christenson gave three examples that exemplify the different kinds of love God has. God loves us the way a mother loves her small child. He wanted to teach us that way so he gave us children. God loves us in such a way that he created friendship, so when we love our friend we know some small part of his love. “Set me as a seal upon thine heart, as a seal upon thine arm: for love is strong as death…” (Song of Sol. 8:6) A seal was a mark of identity that you could place on envelopes to show who you were. In the eros theory, all love really wants is union and to be sealed, to become a part of the other identity. Love is a union. Professor Christensen ended with the caveat that while he doesn’t judge between these two theories as to which is better, he does notice that the doctrine in The Church of Jesus Christ of Latter-Day Saints leaves more room for eros than other denominations, in the sense that the Church performs sealings. Overall, Valentine’s Day isn’t exclusive to couples. Love can be celebrated and appreciated in all of its forms. There is the love you can have for your friends, country, family, and God. Most importantly, cheer up, because you are loved.